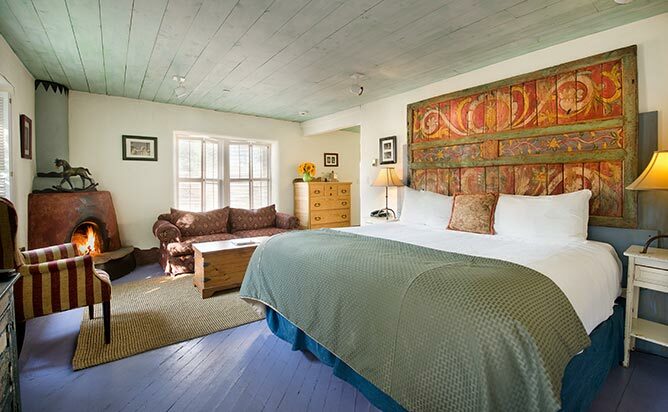 A place of comfort and charm, our one-of-a-kind inn will welcome travelers who search for a deeper connection. From fireplaces in every room, eclectic decor, original artwork around every corner to the woody smells of piñon burning—you don’t just visit Las Palomas, you belong here. Loved our 1 bedroom casita and the fact that the lodging was dog-friendly. Morning breakfast was homemade omelets and waffles plus a buffet. Delicious. Easy walk to downtown and exploring. Definitely will return. Steeped in ancient history and culture, Santa Fe will lead you from one adventure to the next. Known as the City Different, New Mexico’s capital city has long been a center of gravity for artistic minds, consistently drawing generations of new talent into its orbit. 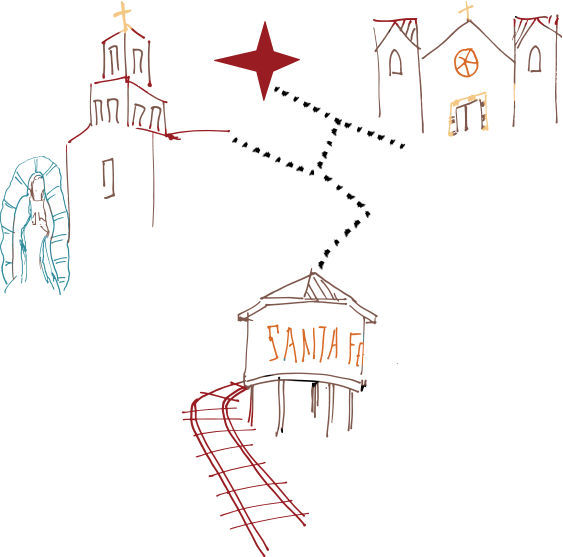 Conveniently located just a few blocks from the Historic Santa Fe Plaza, Las Palomas brings you steps away from the neighborhood’s array of restaurants, art galleries and antique stores, and the year-round Santa Fe Farmers Market, the largest of its kind in the state.